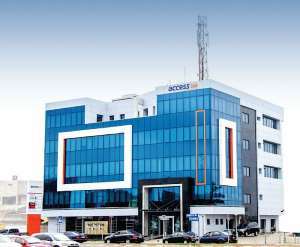 Access Bank Ghana, one of Ghana’s leading retail Banks, has unveiled instant access to loans for salaried workers through a special USSD code *901*11#. With the new “PayDay” Loan service, which is another industry first, customers get easy access to a unique platform that provides them access to loans against their next salary payment, without providing the Bank with collateral or a guarantor. A statement from the Bank said the service works 24/7, as applicants have to simply dial *901*11# on their mobile phones, and not visit the banking hall to access up to 40% of their monthly income. “Everyone needs a little push every now and then to meet pressing needs before they receive their salaries and we are excited to be there to support our customers improve their quality of life through our new PayDay loan service. This is another reason for noncustomers to switch their salary accounts to Access Bank”, he concluded. To obtain a loan using the PayDay loan service, existing and prospective customers must domicile their salaried accounts with the Bank and be registered on the *901# mobile banking service. Existing Salaried workers who decide to take advantage of this offering must only dial *901*11# on their mobile phone and follow the screen prompts to access up to 40% of their monthly income. The loans are approved instantly and followed by disbursement within a minute of completing loan request. Access Bank Ghana has over the last 10 years developed a deep understanding of its customers, delivering excellent service and empowering them to achieve more through finance, education and financial inclusion.